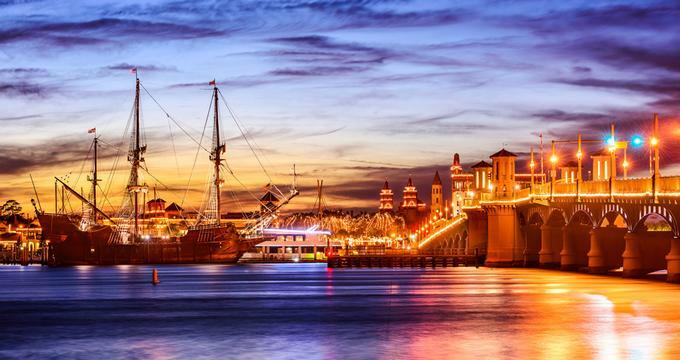 Plan a romantic trip to St. Augustine, FL, and stay in one of these beautiful inns, hotels and B&Bs offering attentive service, historic charm and luxurious amenities. Choose from properties that offer spas, whirlpool tubs, fireplaces and private balconies for additional romance and relaxation. Start your day with a delicious breakfast, followed by a romantic stroll through historic St. Augustine. 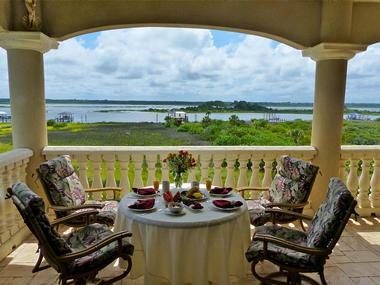 Here are the best romantic getaways, inns & bed and breakfasts in St. Augustine. 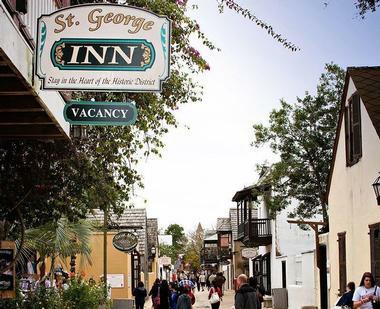 Right in the center of the Old Town area of St. Augustine, St. George Inn is located along a pedestrian-only road within easy access to local attractions. There are 25 rooms and suites on the property and many of them feature views of the City Gate, rocking chairs, or balconies. 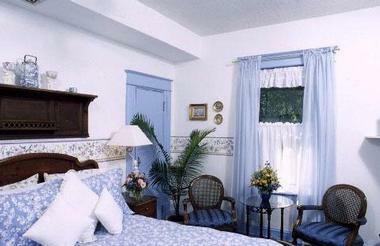 Each room is designed with the elegance and privacy of a small hotel and friendliness of a bed and breakfast. 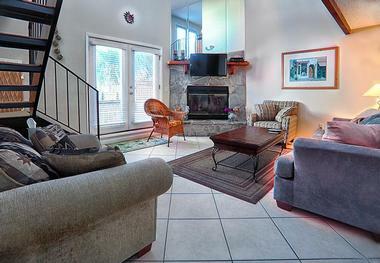 Every room has wireless internet access, a refrigerator, a private bath, and a coffee-maker. There is also individually-controlled air conditioning and heating. Guests get to enjoy a complimentary European-style continental breakfast in the in the morning. The breakfast includes meats like ham and salami, fruit such as oranges, drinks such as tea, coffee, and orange juice, and a range of other dishes such as muffins, oatmeal, breakfast bars, yogurt, and croissants. 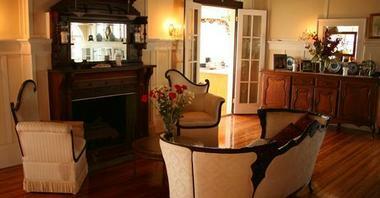 St. Francis Inn Bed and Breakfast was built in 1791 and is within walking distance of many historic attractions. Every room seamlessly combines antiques or reproductions with modern amenities like color cable TV, air-conditioning and heating, and telephones. Guests have the choice of a queen or king bed, and all rooms have private baths. Some also have whirlpool tubs, fireplaces, private balconies, refrigerators, or sleeper sofas. There is a cottage for those who want even more space on vacation. The inn also has a walled courtyard garden that is perfect for relaxing. There is a living room to relax in, a temperature-controlled swimming pool, bikes to borrow, and porches. A full breakfast is served every morning with hot entrees, a variety of beverages, fruit, and fresh bread. Weekends see a special brunch and there is an evening social hour. The Pearl of the Sea offers its guests luxury, waterfront access, privacy, and royal treatment. Every room in the bed and breakfast seeks inspiration from different countries. There are ten rooms in total, most of which have a balcony and some also have a Jacuzzi. Rooms have wireless internet, high-definition TVs, and walk-in showers. The Penthouse is the most extravagant room, featuring a baby grand piano. The bed and breakfast has a spa on site which is heated for relaxation. The complimentary gourmet breakfast features fresh omelets made to order as well as other dishes made with organic, fresh ingredients. 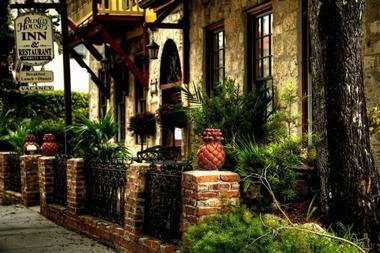 The Collector Inn is an upscale hotel about a mile from the St Augustine’s Castillo de San Marcos historic fortress. It consists of nine beautifully renovated late 18th-century buildings grouped around a gorgeous landscaped courtyard with brick-paved paths and masses of fragrant honeysuckle. The Collector’s 30 uniquely decorated rooms have original historic features such as coquina walls, elegant fireplaces, and refurbished hardwood floors. Some suites have separate living rooms and access to breezy verandas. All rooms have free Wi-Fi and flat-screen TVs, granite kitchenettes, and opulent bathrooms. Guests enjoy continental breakfast, happy hour, complimentary loaner bikes, coffee and cocktails bar, an outdoor pool, and fire pits. Casa De Suenos Bed & Breakfast was built during the early 1900s and offers seven guest rooms with distinctive decorations and styles. Some feature extra amenities for a romantic getaway, such as a private balcony or a whirlpool tub. Guests have access to evening socials, wireless internet, and free off-street parking. The morning begins with a hearty breakfast buffet with two hot entrees that are homemade, fruit soup or fruit salad, fresh bread, homemade granola, cereal, and fresh juice, assorted teas, and coffee. You can enjoy it in the dining room, your room, or the garden patio. The evening social hour includes specialty appetizers, house wines and local beers. 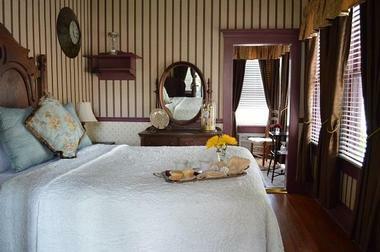 The Old City House Inn has been hosting guests for more than 20 years. There are seven rooms with classic and elegant styling. All rooms have queen beds, en suite bathrooms, private entrances, free wireless internet, and cable TV. The inn has bicycles available for guests to borrow to more easily explore St. Augustine. The day starts with a complimentary hot breakfast, and guests can enjoy a glass of wine at night or a complimentary soft drink whenever they want. There is a wine and cheese social on holidays and weekends. The on-site restaurant is full service and features a bar as well. This bed and breakfast is right along the ocean and is adult-only. It offers a romantic setting perfect for a couples’ weekend with amazing views of the ocean. There are five rooms in the main house with three more in the beach house. Every room has a private bath. There are also numerous hammocks for relaxing. Guests have access to the outdoor heated pool, landscaped gardens, Jacuzzi, and a full hot breakfast in the morning. You can borrow beach towels, umbrellas, chairs, and boogie boards or bikes. There is an on-site spa and guests have access to the YMCA Athletic Club. Right along the waterfront, you will find the award-winning Bayfront Marin House across from Matanzas Bay in the historic district. This setting offers impressive views for guests to enjoy. Rooms have individual thermostats and private entrances to help enhance privacy. There are 15 private rooms, each with their own entrance and private bathroom. Most rooms have electric fireplaces and double Jacuzzis as well. Casa de Solana has been around for 250 years and originally belonged to Don Manual Lorenzo Solana, one of the first Spanish families in St. Augustine. Today, there are ten rooms in this full service bed and breakfast. The rooms combine modern amenities with historic charm and many have their own fireplaces, balconies, or whirlpool baths. The inn also features in-room massages and yoga classes. There is a different hot entrée every morning made using organic produce that is fresh and local. Although breakfast is served in the dining room, guests can eat it in their rooms as well. Hot entrees include quiche, French toast, fruit cops, Caprese melts, and omelets. There is a daily wine social hour with wine, cheese, and crackers in the parlor, courtyard, and dining room. 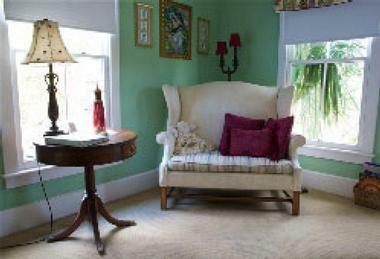 Hemingway House Bed and Breakfast is a romantic bed and breakfast that lets you relax in the heart of St. Augustine. There are six guest rooms and each is set up for double occupancy and has a shared covered balcony on the second floor. The rooms have a queen or king bed, their own modern private bathroom, and assigned parking. There is also cable TV, toiletries, a blow dryer, an iron and ironing board, clock radio, and sleep machine. In the evening, guests can enjoy the casual wine and social hour. The daily breakfast is made using wholesome fresh ingredients and features familiar dishes with a twist, such as cinnamon-citrus syrup with French toast or an eggs Benedict casserole. The Kenwood Inn is a family-friendly St. Augustine bed and breakfast that is also perfect for weddings and other events. There are 13 guest rooms with beautiful decorations; some have a plush carpet, fireplaces, hardwood floors, body massaging heads in the showers, hammocks on the balconies, and Jacuzzis. Guests also have access to a swimming pool, free parking, and luxury amenities as well as easy access to historic downtown. Some of the 1865 building’s eye-catching features include fireplaces, sweeping bay windows, a living room, a high-ceiling parlor, and a dining area. There is also a baby grand piano. The homemade breakfast consists of fruit, cereal, granola, fresh baked pastries, and hot dishes. The Inn on Charlotte is a bed and breakfast along the Atlantic Ocean, providing travelers with easy access to water activities such as deep sea fishing or sailing. The 1918 building has been restored and features antique accessories and furniture mixed with modern amenities such as private bathrooms, comfortable queen or king-sized beds, toiletries, plush towels, irons, an iPad docking station, and cable TV. There are eight guest rooms and the inn has been hosting guests since 1993. Coffee and tea are served in the morning before a two-course breakfast featuring delicious dishes such as fruit soup, eggs Benedict casserole, and other hot dishes made with fresh ingredients. 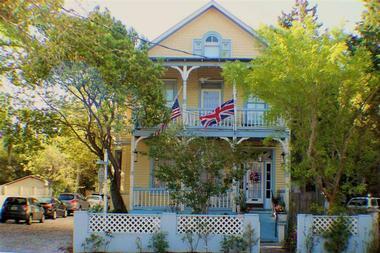 The Victorian building housing the Penny Farthing Inn dates back to 1897 and is in St. Augustine’s historic district. 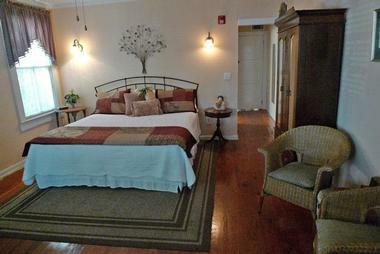 There is wireless internet throughout the inn and nine rooms to choose from. Each room has unique furnishings and romantic décor. The inn has numerous porches and balconies to relax on and enjoy a nice day. You can also sit by the fireplace or in the parlor. The day starts with a gourmet breakfast at the bistro tables on the porch or in the main dining room. The atmosphere is elegant with lace and china and you can eat alone or meet other guests. During evening coffee, dessert, and appetizers, you can talk to other guests while sipping complimentary sherry or wine. More vacation ideas: Florida weekend trips. 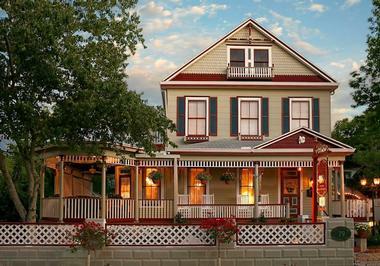 Victorian House dates back to 1895 and was restored in 1983. Every guest room has unique touches with heirlooms mixed with modern amenities. Every room has a private bath while some also have private porches, Victorian claw-footed tubs, double Jacuzzi tubs, or fireplaces. 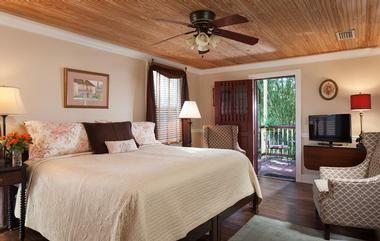 Guest rooms in both the Carriage House and Main House offer a range of décor options. Guests can relax and enjoy a cup of coffee on the porch in the morning. The excellent location of the inn means that it is close to shopping, the historic district, and the beach, offering something for everyone. Carriage Way Bed & Breakfast dates back to 1883 and the expansive verandahs will immediately catch your eyes. Each room has wireless access, as do the common areas and the concierge can help you plan your stay in St. Augustine. All rooms have private bathrooms, pillow top mattress, luxurious linens and towels, USB clock radios, flat screen TVs, ceiling fans, central air-conditioning, and blow dryers. 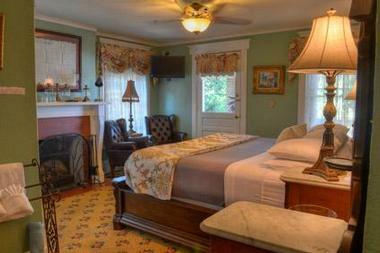 Cedar House Inn is a historic 1893 Victorian home with polished pine floors and ten-foot ceilings. 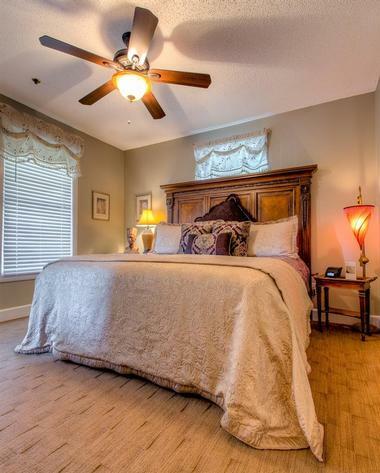 The bed and breakfast has seven guestrooms as well as on-site parking and its quiet location gives visitors easy access to the historic district. Every guest room has air-conditioning, a queen or king bed, a private bathroom with a walk-in shower or Jacuzzi, wireless internet, a flat screen TV and DVD player, an iron, a blow dryer, and bath robes. The inn also gives guests access to a sun deck and wraparound porch, a game room with plenty of board games and puzzles, fresh baked goodies, soft drinks, bottled water, port, and wine. There is a daily two-course gourmet breakfast. 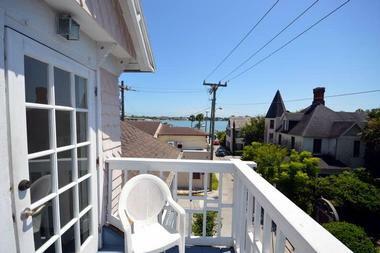 The Old Powder House Inn is a relaxing place to stay with convenient access to local attractions and the beach. There are nine guest rooms, each of which has unique appointments. Some rooms have original hardwood floors, a table, a wall full of windows, a tub and shower, a private porch, a walk-in shower, a skylight, or a private entrance. The full gourmet breakfast can accommodate many dietary requests. Breakfast includes fruit, orange juice, homemade bread, and hot entrees like eggs Benedict, eggs Cordova, quiche, or stuffed French toast. You can eat by yourself in the formal dining room or chat with other guests. 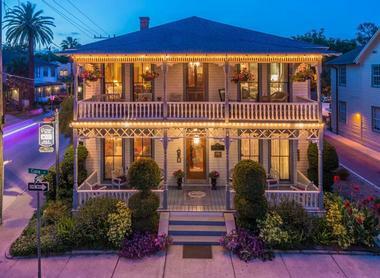 This historic district bed and breakfast is removed from traffic to offer visitors a quiet, relaxing environment without sacrificing easy access to St. Augustine’s attractions. This Victorian home from the late 1800s has five rooms with unique features. 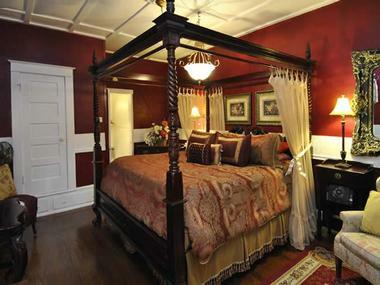 You can pick a room with a queen or king-sized bed, private porch or verandah, or private entrance. Personal concierge service can help guests make reservations or plan fun activities in the area. There is free wireless internet on site and storage for bikes and kayaks. During the day, enjoy complimentary access to soda, wine, and beer. There are also afternoon snacks and cordials and the day begins with a delicious full breakfast. This romantic hotel is located right by the marina, giving you gorgeous ocean views along the waterfront. The majority of the inn’s 19 suites face the marina and some of the rooms are also pet-friendly so you can take your pooch on a weekend getaway. Guests can pick from a harbor view or garden view, and some rooms also have Jacuzzis. Other rooms have dining areas, kitchens, private patios, CD players, and queen sleeper sofas. All rooms come with cable TVs featuring HBO, a DVD layer, and free local calls. There is also a breakfast counter with a microwave, coffee maker, and fridge. Guests at the inn get access to high speed wireless internet, a guest television lounge, a swimming pool, a coin-operated laundry, free parking, and breakfast. This 1914 Mediterranean revival has been lovingly restored to its original style but with modern amenities. There are 22 accommodations to choose from, divided between the Main House, the Coach House, and the Secret Garden. All rooms have luxury linens and towels as well as fine bath soaps, irons, hair dryers, DVD players, flat-screen TVs, wireless internet, heating and air-conditioning, and a radio alarm clock. The inn has common areas filled with antiques as well as a verandah to let guests enjoy the ocean breeze. Although breakfast is not included, all guests get a sizable drink credit and breakfast credit at the on-site restaurant. There is fresh complimentary coffee and tea in the foyer each morning, as well as baked cookies and refreshments in the afternoon. Throughout this bed and breakfast, you will find verandahs and coquina masonry to show off its Southern charm. The vintage architecture is combined with modern comforts such as central air conditioning. All rooms have antiques and period furnishings as well as cable TV, DVD players, private baths, and high-speed wireless internet. The ten rooms are each uniquely decorated giving guests a choice of décor. Guests can savor a full breakfast in the morning on the veranda, in the Parlor, or in the Dining Room. It includes juice, coffee, assorted teas, fresh fruit, yogurt, cereal, bread, and hot homemade entrees. There is an afternoon social with iced tea and homemade desserts. This boarding house from the 1920s has been restored and is located within the historic district. Every room has one-of-a-kind bed frames made from wrought iron along with antique furniture, curios, wicker furniture, and more. They all feature ceiling fans, central heating and air-conditioning, flat-screen TVs, wireless internet, terraces, irons, and beautiful terraces. Every room has a private bathroom ad some of these have single or double Jacuzzis. There are also mini-fridges, microwaves, and ice. 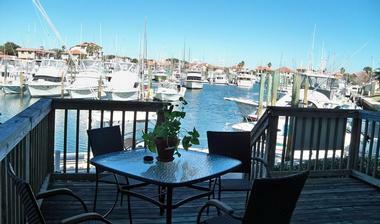 The terrace and balcony offer great views of St. Augustine and are perfect for people watching. You can also relax and take a seat in the vintage brick courtyards with their gardens or have a meal there. A full homemade breakfast is served in the morning. 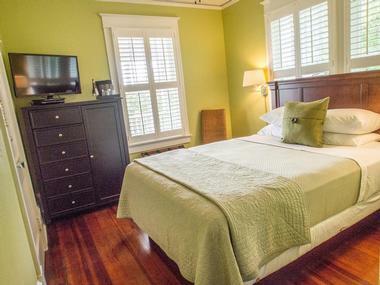 Centennial House has been fully restored and offers guests eight rooms to choose from, complete with private luxury baths, fireplaces, oversized whirlpools, climate control, a cable TV with VCR, sound insulation, and access to the inn’s video library. Guests receive complimentary wireless internet and complimentary soft drinks. The building has 10- to 12-foot ceilings, antiques, and other features to help transport you back in time. Guests can enjoy their complimentary breakfast on the sun porch or in the formal dining room. Early risers will appreciate the early morning tea and coffee. The building housing the Saragossa Inn started as a single family home in 1924 and now has four guest rooms as well as two guest suites. Each accommodation has a private bath and private entrance as well as central heating and air-conditioning controlled in the room. Other in-room amenities include an alarm clock, hairdryer, iron with ironing board, cable TV, CD and radio layer, refrigerator, wet bar, microwave, coffee service, and wireless internet. The layout of the Saragossa Inn allows you to enjoy a private vacation or socialize with other guests. A three-course gourmet brunch is served in the morning. Children can be accommodated with advance notice. You may also like: the Bayfront Westcott House B& B. The House of Sea and Sun is pet-friendly, giving guests the chance to bring their pooch along on vacation. Each of the seven rooms has unique décor with antiques and modern amenities. Many rooms have private balconies and all of them have air-conditioning. 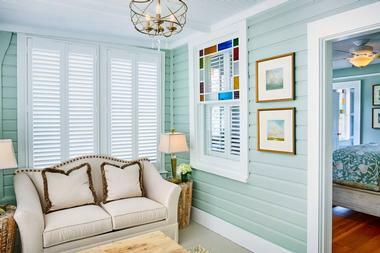 Some rooms have five windows looking at the ocean, French doors, or private claw-foot tubs. The inn is close enough to the water to hear the soothing sounds and enjoy a waterfront sunrise. There is antique furniture throughout the inn, including in the breakfast room and living room. In the morning, you get to enjoy a fresh, homemade breakfast. More Florida destinations: Miami, Florida.